Dr. Zoe Shaw - When Should A Strong Woman Quit? 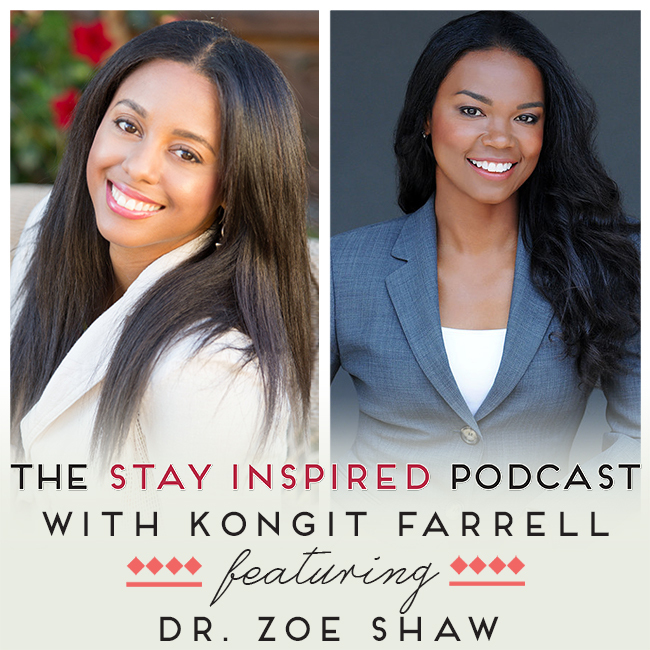 58 Dr. Zoe Shaw – When Should A Strong Woman Quit? Welcome to The Stay Inspired Podcast, where today we have with us Dr. Zoe Shaw, a licensed psychotherapist with a Master’s Degree in Marriage and Family Therapy and a Doctorate in Clinical Psychology. She is a motivational speaker, radio host, life coach and fitness fanatic who is helping women achieve that elusive work-life self-relationship balance by cultivating healthy minds and bodies. After 15 years in traditional psychotherapy practice, Dr. Shaw now helps women using a different modality with a mix of virtual therapy, coaching services, and programs designed specifically for women who wish to have it all but who sometimes struggle in the Superwoman Game. Listen in to learn the difference between quitting and failure, how to let go of a project that isn’t working, and why strong women have such a hard time quitting.